There are many examples one can use to point to a tough exterior. It comes up to use the example of turtles because they would not make it in this world without one (a tough exterior that is). When we are first born we are like a turtle, we are flimsy and we need protection from the elements and this is usually where our parents or caretakers come in and play this role, without them we would probably not survive. As we grow older and have many life experiences, we can grow shells around us like the Turtle, it just isn’t as obviously seen. We do this to protect ourselves from being hurt, but unlike the turtle it is not just physical protection we wear our shells for it is psychological protection also (which sometimes is the more challenging of the two to take off … because psychological isn’t actually real and so you have to somehow show someone that what they believed in never was and that can be more challenging that healing a broken bone, because you can see that a broken bone has healed but how do you heal a thought (psychological wound)? The thing that gets distorted is that one begins to rely on the shell and not one what the shell appeared to protect. There is a bit of trouble attempting to word this. If you look at your body … as the Turtle shell … then you can look at the Heart as the body of the turtle. Don’t know how clear this will sound but the body is the shell that covers one’s Heart/Light. The Heart requires the use of the body to “be” in this world just like the turtle’s body requires the shell for it to be in this world. 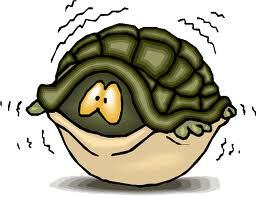 But the shell is not the turtle and the body is not the Heart … they are extensions of each. So the body of a turtle is tender and the Heart is tender too, however a turtle is not weak, nor is the Heart and at some point one is wise to begin to look at what the body is protecting. This is quite a challenge to describe, however, the Heart cannot be hurt, ultimately because it is not in this world, the world is in It. But how does one begin to help one see this. It’s like saying to a turtle … ”hey take off your coat and stay awhile.” (The coat being it’s shell.) It would probably be a bit freaked and wonder why you would want to take it’s protection away, but you are just seeing that the protection is like a heavy armor that the turtle is carrying around and could use a rest, there is nothing for it to protect itself from around you, maybe out in the world, but around you, it is safe. But how do you help the turtle to see this? To give the turtle a rest. Possibly you could point around to the turtle and show it that there is nothing around it that would hurt it, that all the things that it thinks it has had to protect itself from are not currently here. Could you have the turtle look around it’s surroundings and see that? How would you put the turtle at ease, when it has been hurt and attacked before? Time and patience are what help turtles and humans to see that it is okay to take the shell off and to sit back and relax for a bit without all that heavy weight holding it down. It might kick it’s feet up and you might rub on them and share things that you have been afraid to say because someone laughed at you or made you feel badly about things that your Heart Knows. Once you have begun to every once in awhile, take your shell/shoes off, when you have found the company of those that have also had shells but have found that they can take them off and just play and be who they are without protection. Then when you go back into the world, you still have your shell/body/armor to wear but it might not be so thick and it might not be so heavy. Once this has happened for you, you begin to be it for others. The other day while at a college (don’t usually like to be in a crowd of a lot of people). Saw myself as a tree and inside the tree a core of Light that runs up and down through and out of the body. This is done sometimes when there is an un-comfortableness growing, like there was yesterday, sometimes the focus will go to that Light … it is like a pole that can be held onto when things get uncomfortable. As this was happening a person came up and said he was having anxiety, which was funny and synchronistic and shared with him that the attention was being placed on the Light and easing the anxiety and although he may not have completely understood what was being shared … he eased up and started sharing as well about school and other interests. There was a feeling inside of holding that Space for us both to be in …like holding onto the Light Pole within and both of us were experiencing it. These things are not easy to explain, cannot speak for the other person and say that he experienced anything that is being shared here. However, he did seem to relax and begin to openly share about his life … it seems both our guards went down and neither of us seemed to be aware of the crowd that was still there (which was about 80 people).